A little over a half a year ago, Transocean Ltd. announced that its ultra-deepwater semisubmersible rig Deepwater Horizon had drilled the deepest oil and gas well to date while working for British Petroleum and its co-owners on the Tiber well in the US Gulf of Mexico. Working with BP, the Transocean crews on the Deepwater Horizon drilled the well to a 35,050-foot vertical depth (measured depth of 35,055 feet) – more than 10 kilometres, while operating at a little over 1,250 metres of water. The recent on-going tragedy in the GoM reminds us how quickly and dramatically things can change. The catastrophic blowout of the newly drilled MC252 well in BP’s Macondo Prospect on 20 April took the lives of 11 and injured 17. 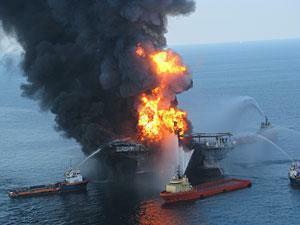 Deepwater Horizon sank two days after the explosion. On the seabed, 1,500 metres below the ocean surface, the initial well flow was estimated to be at least 5,000 barrels per day from three points along the drill pipe. Although the flow continues, BP is now using a riser insertion tube tool to collect approximately 3,000 barrels a day. As we go to press, the resulting oil slick oil slick covers a surface area greater than 6,500 square kilometres, and in the opinion of some experts, at least 170,000 barrels have been spilled. As with past large spills around the world, the assessment of the damage to the environment and industries such as fishing and tourism can only be assessed over time – something we will return to in future issues. In the US, the media and public firestorm over the accident is not surprising, but far too often, the reports focus on who is to blame, rather than what went wrong and how such disasters can be prevented in the future. Here in Norway, as well as now in Brazil, regulators require each BOP to include an acoustic control system that allows the BOP to be remotely actuated, whether from the rig or another location, such as a supply vessel. By some accounts, such a system could have helped to staunch the flow early on. But some have theorised that the shearing mechanism in the BOP may have been stopped by a drill-pipe joint or fouled by cement and debris. It will be some time before the cause is know, if ever. What ever the cause of the blowout, if the cause is ever conclusively determined, the first lesson to take from this disaster is that safety cannot be emphasised enough. The risk involved in any such endeavour dictates that Health, Safety and Environment (HSE) issues take an equal stand with any other part of the process. 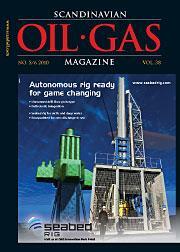 The industry has learned much since its first efforts to move into ever deeper offshore waters. Lessons learned in terms of technology and safe operating procedures – from successes and failures – are innumerable. Deepwater Horizon’s successful world-record in 2009 is only one example of what the industry is now capable of accomplishing. That the industry will apply this same diligence to apply lessons learned from this disaster to improve safety is certain – none of us can afford such catastrophic loss.